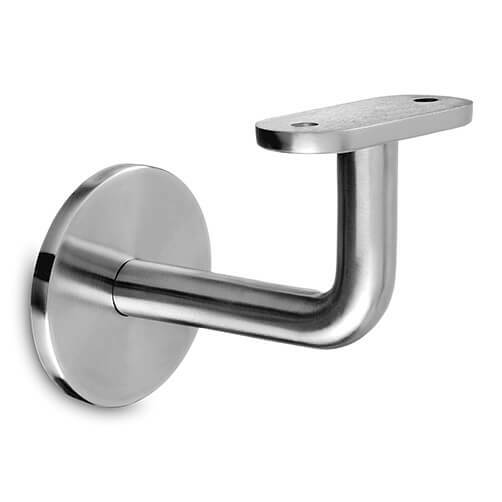 Handrail bracket plate with curved stem for easy installation to flat wall surfaces. Screw fixings are not supplied with this product. Designed for supporting flat handrail, an ideal choice for timber handrails. 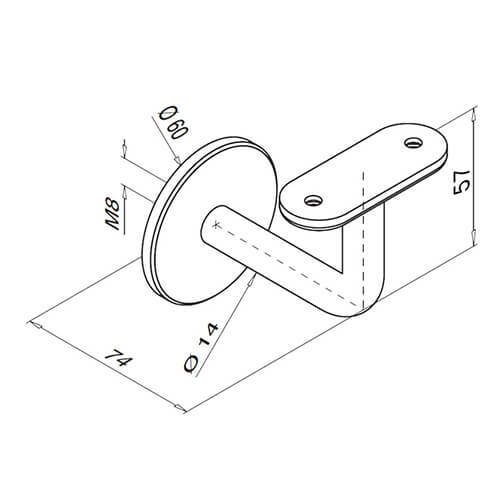 This hard wearing bracket is available for indoor and outdoor applications, with options of 304 (interior) grade and 316 (exterior) grade stainless steel. To a brushed 320 grit satin finish. 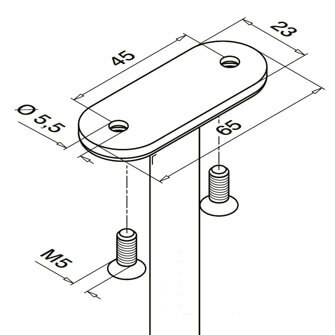 For installation on to wood, plasterboard, masonry and concrete we recommend using a M8 x 12 Dual Thread Screw to attach this bracket. For attaching square stainless steel handrail we recommend using two M5 x 20 Hex Head Countersunk Screws. For a smooth installation we offer a selection of Hex Head Key Sets. Great quality.look great,easy to fit & no ugly screw holes showing.